The iconic Marina Bay Sands Hotel in Singapore. In January 2019, Iona Sammons, Alexis Allen, Walter Todd and myself (Laurie Ingle) joined 12 other students from around New Zealand to travel to Southeast Asia. For almost three weeks, we participated in the Tertiary Market Immersion Programme (TMIP), organised by the Southeast Asia Centre of Asia-Pacific Excellence (SEA CAPE). TMIP is a programme that allows tertiary students to broaden their understanding of Southeast Asia while learning how business is conducted throughout the region and identifying opportunities for future growth. This year, TMIP students travelled to Vietnam, Singapore and Thailand to visit a number of local businesses in these countries. Students were split into four groups: e-commerce, food and beverage, small and medium-sized enterprises innovation, and social enterprise, and presented their findings on the opportunities in these countries for their area. The trip also involved connecting with ambassadors, diplomats and others from the New Zealand Ministry of Foreign Affairs and Trade. Ho Chi Minh City in Vietnam was the group’s first destination. We visited some familiar brands, including Heineken and Fonterra, to hear about how they’ve approached the Vietnamese food and beverage market. We also visited social enterprise Know One Teach One (KOTO), which is a foundation that empowers at-risk youth by providing training, life-skills and opportunity. The trip included a visit to the Ho Chi Minh School of Economics, where we gained insight from the local students into Vietnamese culture and education in Southeast Asia. We then travelled to Hanoi where we heard from PwC’s management consulting team. They gave us insight on doing business in Vietnam, including the political and regulatory challenges that businesses face in the area. Thailand is ambitious. Our visit to the Eastern Economic Corridor in Bangkok gave us an overview of Thailand 4.0, which is Thailand’s economic model for growth. It focuses on security, wealth and sustainability. Part of this involves technology, including the development of smart cities, which use data and technology to create efficiencies, improve sustainability and drive economic development for those who live within them. 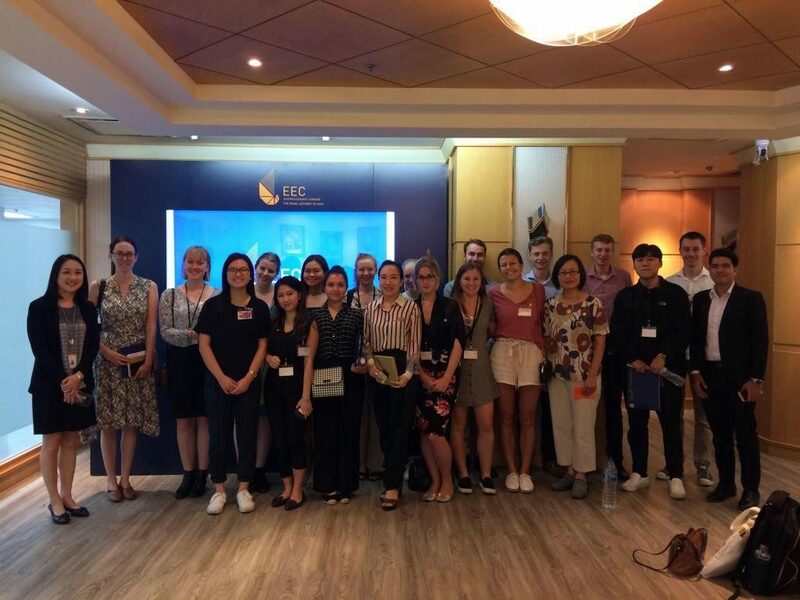 While in Thailand, the Tertiary Market Immersion Programme students visited the Eastern Economic Corridor in Bangkok, to learn more about Thailand’s economic model for growth, Thailand 4.0. We also visited Hubba co-working spaces and heard from Folk Charm, which is a social enterprise that produces sustainable clothing in the region. We were able to get valuable insight into the way the entrepreneurs behind these organisations think and see the world. 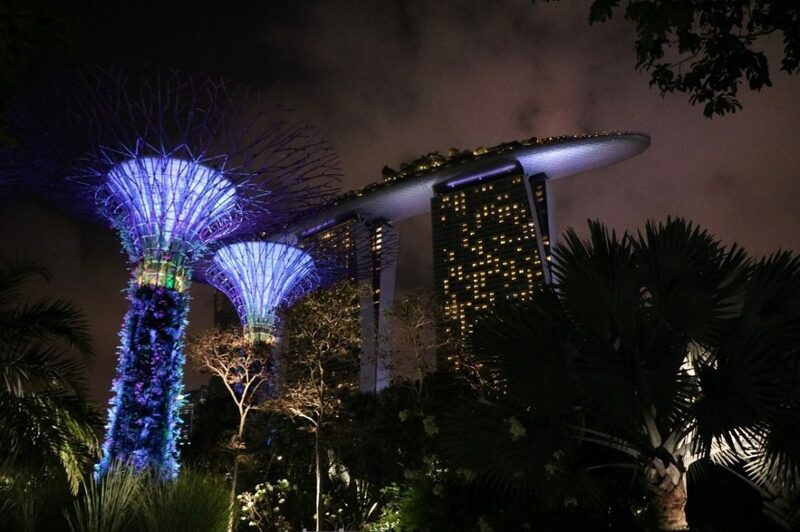 Of the three countries, Singapore was my personal favourite. It’s an absolute technology hub and we were lucky enough to hear from representatives from Facebook, Grab, Techemy, and Shuttlerock among a number of other innovative businesses. Singapore was where the groups had their final presentations. Alexis and myself, as part of the e-commerce group, and Walter and Iona, as part of the food and beverage group, pitched refrigerated scooters in Vietnam, as part of a cold chain transport solution to help entrepreneurs move temperature-sensitive foods. Overall, our trip through Southeast Asia on TMIP was fantastic and changed our perspectives on doing business in different markets. I’d highly recommend that students get involved with SEA CAPE and look forward to applying this new perspective to future endeavours. Laurie Ingle is a Law and Commerce graduand.